Both Blake and Servalan are hunting for a man named Cosar, a genius who created a new weapon called IMIPAK, before stealing the weapon and going on the run with it. The weapon allows its user to 'mark'a person for death. They can then kill the marked person at the touch of a button and at their own convenience - even from a distance of a million miles away. 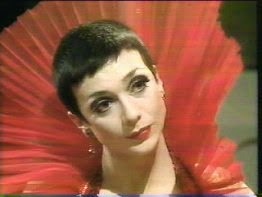 Servalan is the first to track Cosar down, with the aid of a psycho-stragegist named Carnell. She uses a clone of Blake to gain Cosar's trust, take the weapon from him and hand it over to Servalan and Travis. Servalan uses the weapon to kill Cosar and Travis then 'marks' the real Blake (who has arrived with Avon and Gan) for death. 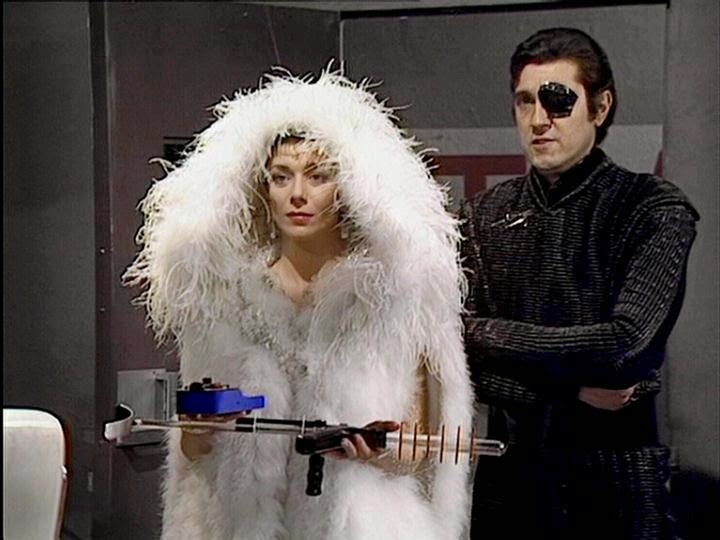 Blake, Avon and Gan are forced to retreat back to the Liberator by Servalan in order to get as far away from the weapon as possible before she can use it on them. Just as Servalan is about to kill Blake she is stopped by the clone and a slave girl called Rashel who had gone on the run with Cosar. The two of them take the weapon and mark Servalan and Travis. Now it is Servalan's turn to retreat with the warning not to come back unless she wants to be killed by the weapon. The clone and Rashel are left to live their lives in peace. Blake: Plans to raid the Federation's Weapon Development Base but neglects to tell the rest of the crew - other than Cally who suggested the idea to him in the first place. Blake's ultimate intention is to raid the Federation Central Control on Earth and he will need powerful weapons to do this, hence the raid on the Weapons Base. He's ultimately dissuaded from this course of action when he realises that someone has escaped the base with a powerful weapon and that it would be easier to go after them instead. This is one of the few instances when Blake is actually beaten by the Federation as he's forced to abandon his attempts to get the IMIPAK weapon and leave empty-handed with the threat of death hanging over his head. Servalan: Attempts to gain IMIPAK without anyone else within the Federation knowing that she has it. To this end she enlists the aid of a psycho-strategist called Carnell to ensure that her plan runs perfectly. She plans to have Carnell killed once he has outlived his usefulness but he turns the tables on her and escapes. Despite this, and the fact that her plan fails she isn't too upset as Carnell calls her "the sexiest officer I have ever known." Travis: Is sporting a new look - and I'm not just talking about the face. He has a new uniform and his eyepatch now covers less of his face then it did previously. His personality has also undergone a change, possibly as result of "recent visits to the retraining therapist", although this is never expanded on. Travis is now far quicker to anger, even going so far to put his hand around Servalan's neck. He is so obsessed with Blake that, when he sees the first Blake clone, his immediate reaction is to shoot him. His desire to kill Blake is the one thing that still matters him. I can't, in all honesty, say that this is a favourite episode of mine. I'm not quite sure why. Maybe it's because the focus of the episode is on Servalan and Travis rather than on Blake and the gang, who feel very secondary to the plot. Or maybe it's because it feels like it takes a long time for the story to get going and then it seems to ends very quickly. Maybe it's just because it's a bit dull. Episodes focusing on the Federation are by no means a bad thing. 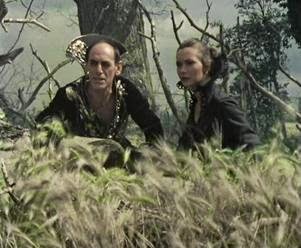 It's a sign of how strong the characters of Servalan and Travis are that the production felt confident enough have an episode in which the heroes are sidelined from the main action. Unfortunately, I just struggled to really care about either Servalan or Travis here and I think a lot of that has to do with the 'new' Travis. In the first series, Travis' and Servalan's relationship was one of almost equals. Servalan was still very much in charge but the two of them seemed to have a mutual respect for one another. Now they seem to have descended into acting like a bickering married couple from EastEnders. That Brian Croucher seems to be trying to play Travis as a cockney thug doesn't really help matters. That said, Travis' new personality - where he appears to be moments away from snapping and shooting everyone in sight - makes for a very unpredictable and therefore very interesting character in future episodes. One big redeeming feature of this episode is the Federation psycho-strategist Carnell. 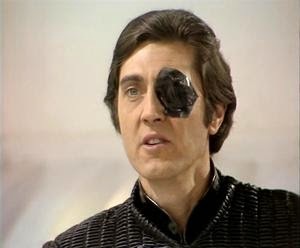 His arrogance (which is actually justified) and effortlessly cool demeanour make even the equally-cool Avon look like a stuttering teenage schoolboy by comparison. 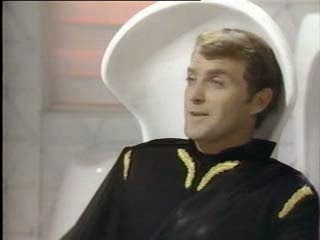 Carnell even manages to get one-up on Servalan, something which not even Blake manages to do in this episode. 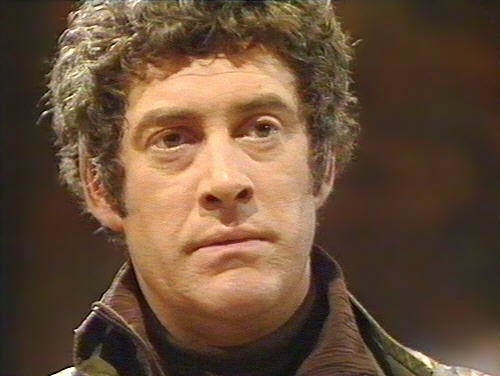 It's a shame that he doesn't appear in any other episodes, although his creator, Chris Boucher, did include in a Doctor Who novel as well as an audio series that was a spin-off of Boucher's Doctor Who story 'The Robots of Death'. One other interesting aspect of this episode is that there is a clone of Blake (albeit not a perfect clone) alive and well and in posession of an extremely dangerous weapon. Sadly, it's not something that is ever touched on again so we can only speculate as to what happened to Clone-Blake and Rashel, living alone on a virtually deserted planet. One suspects they had a better time of it than the real Blake though. Next time: the Liberator crew decide to take a holiday in 'Horizon'.